- RANGE: 500kg to 50 tonnes. - LIGHT LOAD CAPABILITY: the WH-C4 is tested and certified at 2% of the chain block rated capacity. 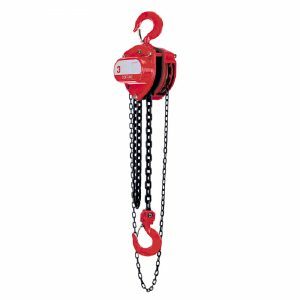 - SAFETY LATCHES: WH-C4 chain block top and bottom hooks are fitted with heavy duty cast steel latches creating a strong and robust hook closure. - OVERLOAD INDICATOR MARKS: WH-C4 chain block top and bottom hooks have, as part of the hook forging, an overload indicator mark either side of the hook throat. - By measuring the distance between the indicator marks, the hook can be quickly and easily checked to see if any stretch has occurred due to misuse or overloading. - HAND CHAIN JOINER: unique hand chain joiner is used as a quick and secure method of joining the hand chain without the need to cut, bend, open and close a link of existing hand chain. 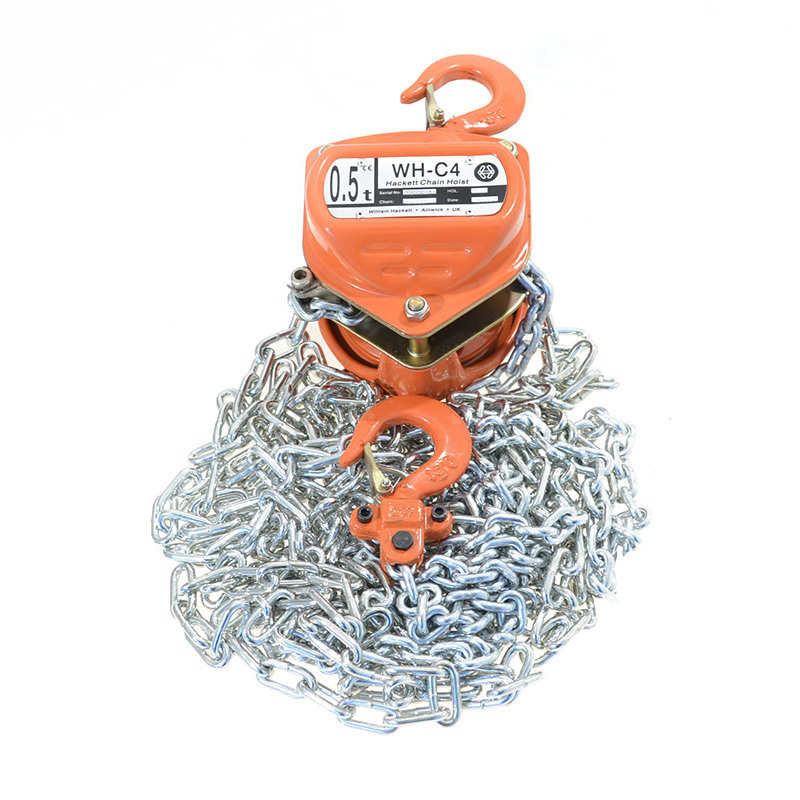 - HOOK HOUSING: WH-C4 chain block top and bottom hook housing are secured with socket head cap screws/hex head bolts and nyloc insert locking nuts. - FLEETING/CROSS HAULING: WH-C4 chain blocks are tested and certified for fleeting or cross hauling applications up to 45° from the vertical without deration. - LOAD CHAIN: WH-C4 chain blocks are fitted with load chain that fully complies with international standards BS EN818-7 Grade T (8) and JIS B8812 Grade V (10). - OVERLOAD LIMITER: available as an option upon request. BS EN13157:2004 + AI:2009, ASME B30.16-2012, AS1418.2-1997, SANS 1594:2007.